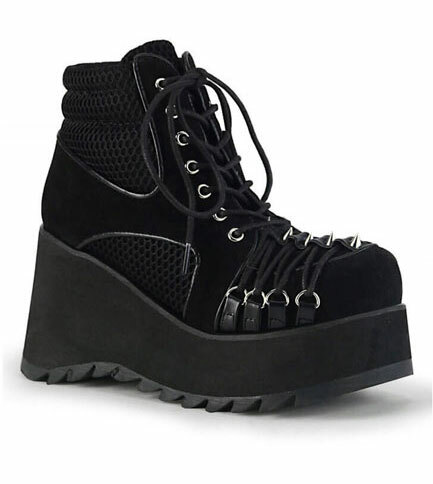 These fantastic pair of Gothic platform boots have a 3 1/2 inch wedge platform. 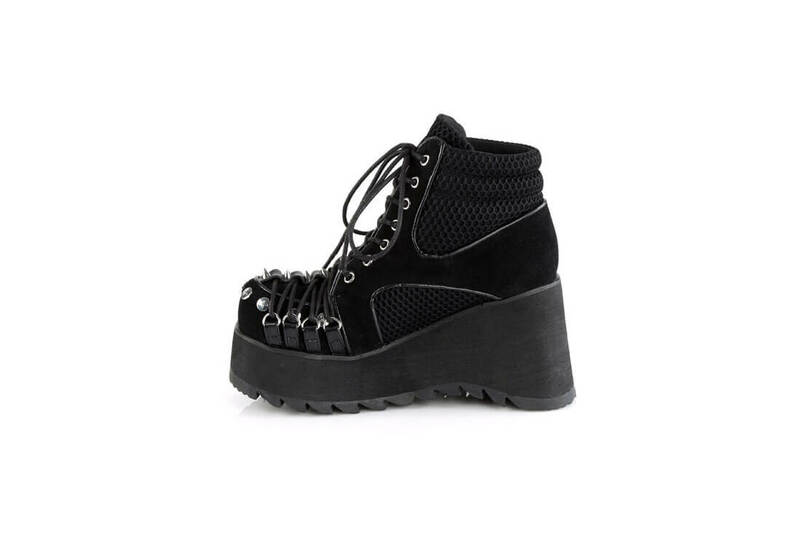 The Scene-32 laces up the front with grommets and D-rings and has cone spikes on the toe. 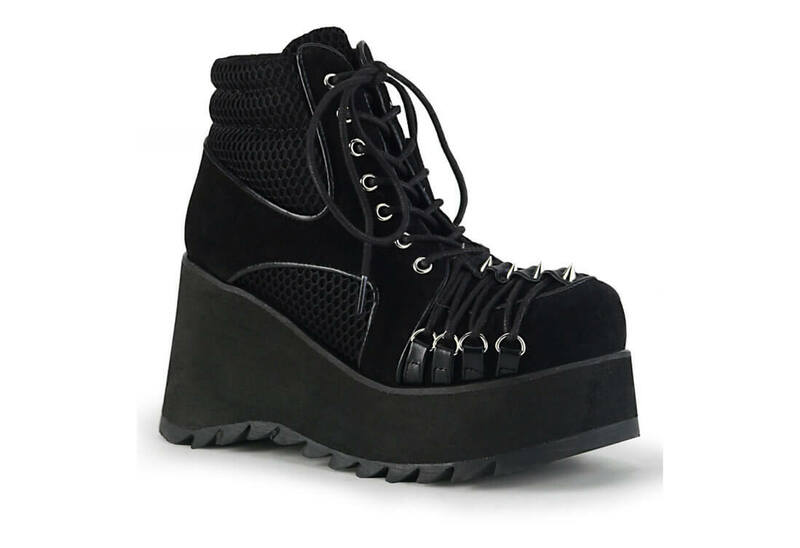 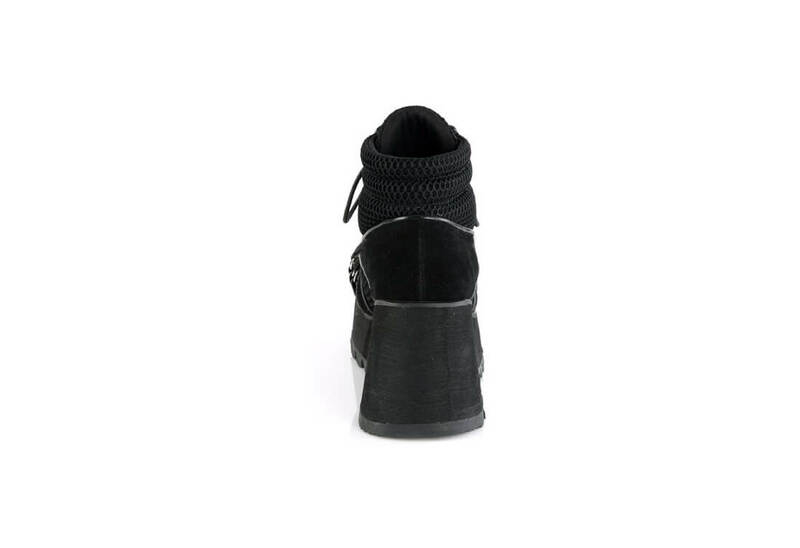 Made from black vegan suede and Fishnet these boots are sure to get some attention.